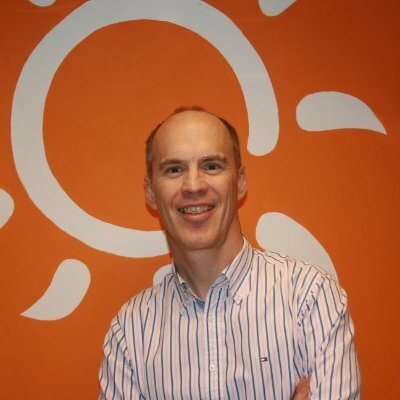 Richard Turner Chief Fundraiser, SolarAid 2011-2016. I first read ‘Sticky Marketing’ in between jobs as a fundraiser in 2011. It was an epiphany moment. Now I understood why charity fundraising was no longer working. For example, costs to attract new individual donors were rising as response rates to direct marketing were falling. I had left my previous job because I was no longer enjoying my role as a fundraiser, despite a career as a fundraiser for 20 years. ‘Sticky Marketing’ opened my eyes. Once you understand the root cause of the problem you can do something about it. So when I started at SolarAid as Chief Fundraiser in 2011 I was determined that we applied the principles of Sticky Marketing from the outset – translating as best as we could for the non-profit context. Our first action was to clarify our ‘Why’ or purpose and our emotional selling proposition. It gave us the basis of a sticky story that people would spread from our new understanding that everyone is now a channel. We set an ambitious goal to eradicate the kerosene lamp from Africa by 2020. Kerosene lamps keep people in poverty due to the cost of buying kerosene, their toxic fumes add to indoor air pollution (a huge killer in Africa), and can result in horrific burns from fires due to spilt lamps. Our ‘how’ was by selling solar lights at a fair market price in rural parts of Africa to build a market. This approach would spread quicker, attract local traders to sell lights too, and be more sustainable than handouts of aid. To do this we needed to attract donations for our social enterprise model. We had a disruptive story compared with the usual approach of a charity. Using ‘Sticky Marketing’ thinking we made decisions on what to focus our limited resources. For example, we decided to attend events such as a weekend festival – because it would be a great place to engage people about our story – knowing it wouldn’t raise much money. If we had applied traditional fundraising thinking (i.e., deciding whether we should go based on the potential income we could generate) it would have meant that we wouldn’t have gone to the trouble of attending at all. It was during the festival that someone came to our stand and heard our story. Weeks later she got back in touch to say she could help us approach a foundation and nine moths later we secured one of our largest grants from the foundation. A supporter, who hadn’t given for a few years, was so taken by our ambition and goal that he committed to a major donation on the spot and continued to do so every year, engaging his own network in Scotland and mobilising support from schools. We started to ask ourselves; how could we encourage individuals to spread our story and build a donation platform which shows people where the solar light they had helped us distribute is located and also credits them if they succeed in asking their friends, family or colleagues to give too? So if a donor has, say, funded 10 solar lights directly, they could also see their network had helped fund 150 solar lights as a direct result of their sharing. The platform later became a key factor in securing corporate partners. We found partners who shared our beliefs, such as the Big Issue, which believes in business based solutions to poverty. We attracted the attention of Sir Richard Branson and Virgin as a result of our entrepreneurial approach and ambition. They both helped us spread our story. This, in turn, helped us secure matched funding from the British Government for all donations from the public two years running. To get individuals to spread our story we realised that one of the most effective ways was to simply offer them a solar light (that might seem obvious but we only thought about it when we started engaging our supporters). We added a tag to the light asking people to tell others and offered it to donors who gave more than £50 and sold them at a premium price. It was a lot of effort to import lights to the UK for a small charity. Yet it easily paid off. One week we had a run of donations from the same postcode. It turns out that a donor to SolarAid was knocking on every door in her street asking her neighbours to support SolarAid and give £50. A donor armed with her solar light approached her city firm, leading to a £25,000 donation. A church minister who heard about our story at a school assembly in Scotland was so inspired that his community raised £13,000. In California a church goer who bought a solar light from SolarAid got her congregation to raise $5,000. These are just a few of many examples that started to occur on a regular basis. SolarAid continues to attract inbound leads and corporate partners. The latest is Toms shoes which is selling Apple watch straps with a donation to SolarAid. SolarAid’s programme in Africa, called SunnyMoney, has won awards and has been featured in the Guardian newspaper. SolarAid was one of the first winners of the Google Global Impact Award in the UK as a result of the impact solar lights are having on peoples’ lives. And the mission to eradicate the kerosene lamp? In Tanzania, where SolarAid sold just shy of 1 million solar lights, the market passed the tipping point and the kerosene lamp is now considered a thing of the past. SolarAid has closed its programme there and is seeking to replicate this in other countries in which it currently works, such as Malawi – one of the poorest countries in the World. A Chinese corporate partner who heard of the mission at a fundraising dinner has helped SolarAid design and manufacturer the world’s most affordable solar light for less than $3 per light. It could be a game changer for families living below the poverty line. Over this five year period we didn’t spend money on traditional broadcast marketing. Now SolarAid has a fundraising programme that is diverse with a broad base of different donors who are engaged. It feels solid and sustainable. Without it the organisation probably wouldn’t have survived the challenges of running a social enterprise in Africa as a market catalyst. In 2015 fundraising headlines hit the news in the UK. Increasingly, fundraising techniques that push for a response are less and less liked or tolerated. These are the symptoms that traditional response driven fundraising is no longer working as it pushes harder. You do an activity because it raises money, not because it helps engage people. As response rates fall, the push to persuade people to give becomes stronger. From over 5 years of applying the principles of ‘Sticky Marketing’ to fundraising these are the key lessons we learnt. Peoples’ opinions now matter. So whether you give a good or a bad experience it will be talked about. It made us realise that it’s not about pushing people to give – but how to inspire them to tell our story. If you get people to spread your story, it is stronger coming from them to their contacts than from us. So we focused on how we could enable people to do just that and encourage them as much as possible. In this increasingly connected world you do not know who people know. So their value can be significantly amplified beyond whatever they choose to donate directly, such as helping engage a company they know of, or work for, or help with knowledge and/or access to funding from a foundation, major donor or even statutory sources. It helped us see fundraising is all inter-connected and not to judge the value of activities purely on how much money they raise directly but to consider the level of engagement it provides. As our reputation built (and your reputation is what other people say about you) we started to get more and more inbound requests. It’s far more time effective dealing with people and organisations that come to you, rather than spending time and money trying to attract people’s attention and get a direct response. Above all ‘Sticky Marketing’ gave us a mindset which I believe is critical for charities trying to figure out how to fundraise away from the traditional approach, which is no longer effective for the very same reasons that sticky marketing is. Five years on I am enjoying fundraising once again.